Historically, the time to be nervous about global growth is when the breadth of the global manufacturing Purchasing Manager’s Indices (PMI) and OECD Leading Indicators are at a peak and losing momentum (late 2013&2017), not when they are all negative and momentum is inflecting off the low (below). Sign up to access the rest of this content! This content is not available to free users. Sign up for a paid account to access the rest of this content. Use the discount code 1MONTHFREE to get your first month free! 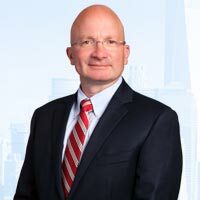 Tony Dwyer joined Canaccord Genuity following the acquisition of Collins Stewart in March 2012, and currently serves as the Head of U.S. Macro Group, Chief Market Strategist, and member of the Firm’s U.S. Operating Committee. Sign up for an account to access additional content. Canaccord Genuity LLC is a registered broker dealer regulated by SEC and FINRA. Member SIPC. Offices in other countries are offices of other companies in the Canaccord Genuity group of companies. See canaccordgenuitygroup.com/en/companies for more information. Investing includes risk, including the loss of principal. The views expressed in this commentary are the views of Tony Dwyer and are subject to change based on market and other conditions. This site contains certain statements that may be deemed to be forward-looking statements. These statements are based on certain assumptions and analyses made in light of experience and perception of historical trends, current conditions, expected future developments and other factors believed to be appropriate in the circumstances. Such statements are subject to a number of assumptions, risks, and uncertainties, and are not guarantees of any future performance. Actual results may differ materially from those projected in the forward-looking statements. © 2019 Dwyer Strategy is a division of Canaccord Genuity LLC, all rights reserved. Please note that you are now leaving our website and entering a third party website. Neither Canaccord Genuity nor its affiliates are responsible for the content or accuracy of information of the of the third party websites linked, nor do they in any way endorse, recommend, or guarantee the products or services offered on the websites.